Hair Curling Fluid by Alex. Ross of London. 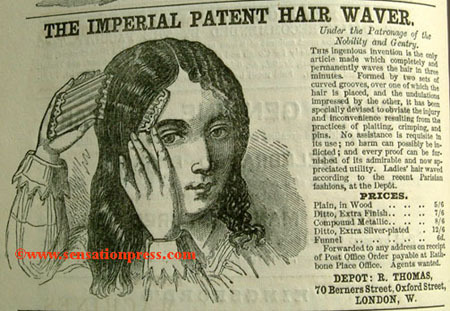 In 1892 the brand was endorsed by Lily Langtry. Manufactured by F. W. Bates. 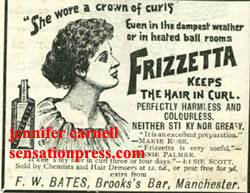 'She wore a crown of curls, even in the dampest weather or in heated ballrooms.